One of the byproducts of cannabis legalization is regulation. This is obvious from the first experience you have with legal weed or edible marijuana products. Whether you physically walked into a shop and pointed at jars or waited on a delivery notification, you noticed the packaging: numbers, percentages, milligrams, warnings, dosages, lab results, etc. While cellophane and Ziploc may be reliable transporters, customers giving their money to people with business licenses expect some information. This is especially true for edible marijuana discrepancy. Packages will divide up the gummy square, cookie, sour belts, or whatever you’ve bought to show how many milligrams are in the entire treat, how much is in each individual piece and the recommended dose. Milligrams, as you may know, are a measure of how much cannabinoid product are in the medicated snack. Edibles are fickle though and a 25-milligram brownie might not “feel” the same as a 25 milligram gummy from another brand. Personally, I’ve compared brands where 50 milligrams of a higher quality product felt stronger than 120 milligrams of a less reputable company. Why is that? Well, it’s hard to tell. It could be one company has a superior process or their testing is unreliable. It might not even be their fault. In 2015, The Oregonian spent three months investigating and testing the potency of popular edible brands at the time and found that over ninety percent of the brands they tested had been incorrectly labelled, most containing less THC than they claimed. The worst edible marijuana disclosure was a pizza that claimed to be around 300 milligrams but only tested at 50 milligrams with The Oregonian. The publication also acknowledges in the same report that testing was inconsistent across labs at the time because of Oregon’s lack of regulation for testing processes. A few of the companies mentioned claim to have gotten results ranging hundreds of milligrams from different labs. One even said a lab asked him how much they “should be” while dropping off the sample. The lack of early regulation in full legalization could be why Oregon now has the strictest edible limits among recreational states. You can’t recreationally buy an edible with a total of more than fifty milligrams. This New York Times case study later the same year showed only 17% of products tested throughout the West Coast were accurate. 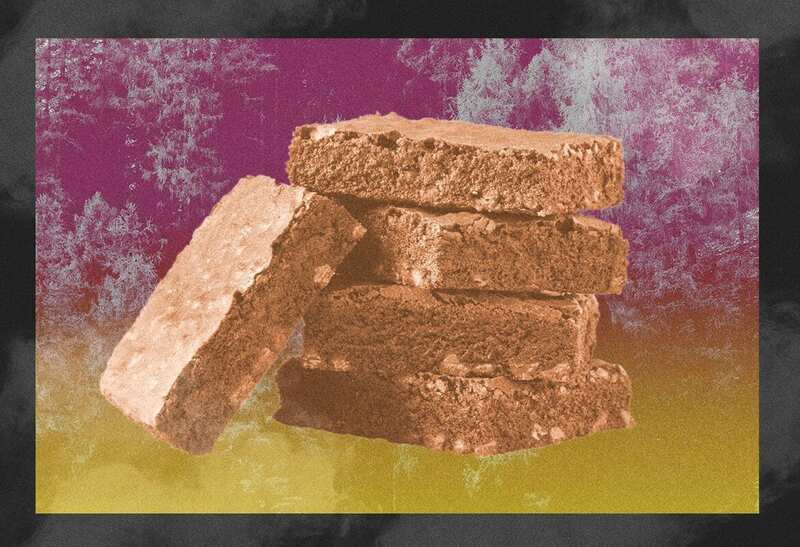 While most states have regulatory boards in 2019 or are developing them, this still raises questions about how much you should trust the labels on your edibles. Am I wasting my money on something that won’t get me high, or worse, too stoned? DOSING edible marijuana products responsibly. To begin understanding edibles and how to dose them, you need to understand the science behind them. What’s actually going on in your body between biting a brownie and the effects an hour later? Any type of marijuana product you ingest via food or drink is edible and it reacts differently than smoked or vaped cannabis. It’s not a completely different process, just a more severe one. How you consume weed determines how severe your high could potentially be. When you inhale cannabis, by whatever means, the body obviously absorbs THC through the lungs, where it funnels it through the heart to the brain and you feel high in minutes. Edibles, as you probably know, are processed through the stomach and eventually the liver and this causes the standard THC molecules we’re all familiar with to change. Specifically, they become 11-hydroxy-THC, which does not naturally exist in the cannabis plant but is formed within the human body after ingestion of THC. The amount of 11-hydroxy-THC formed in your body can vary wildly depending on whether you take cannabis as an edible (high) or smoke it (low). It’s a higher percentage when you eat cannabis because your stomach and liver are able to metabolize more of the compound. People say that 11-hydroxy-THC has a more potent psychoactive effect but this is only anecdotal and there’s not much science to back this up. The claim that 11-hydroxy-THC is 10 times stronger than THC is not correct. 11-hydroxy-THC seems to be more potent, but both molecules can probably get you just as high with a large enough dose. It is likely that the high you get from edibles is due to a mix of both 11-hydroxy-THC and THC. The qualitative aspects are up to you as a consumer to decide. Well, the compounds unpredictability mixed with sometimes unreliable packaging means you really don’t know how much you’re consuming, but edible marijuana discrepancy is so important. Established brands like Cheeba Chew and Kushy Punch tend to be more reliable from anecdotal and scientific perspectives—Cheeba was the only company with correct labelling in The Oregonian report—but that doesn’t help if you’ve been given homemade edibles from a friend or are trying new brands. The only certain way to know how an edible will affect your body is to take it. Slowly of course, but you really don’t know how it will affect you until you make that leap. The clichés might be endless but they’re necessary. “Don’t take too much”, “start slow”, “you can eat more” are the sort of mantras that hang around the entire process of taking an edible and that’s because the reality of a bad trip is always lingering in the background. As always, the safest way to consume them is at home, in a safe environment with time to spare/recover if it’s too much. Start slow, drink water, and, remember, if it gets bad it will get better. Come back next week for more featured weed knowledge.